Park Avenue and the surrounding Winter Park community offer residents and visitors a variety of activities. From enjoying one of our local parks and exploring a museum, to dining al fresco and attempting to paddle board, the Park Avenue area is rich in exceptional experiences. The centerpiece of a lavish winter retreat since 1887, Park Avenue has long been the place for a relaxing stroll in elegant surroundings. Experience a unique destination for fine dining, fashion, and art in one of Florida’s most unique and flourishing communities. Bordered by a shady park that plays host to concerts and art festivals, Park Avenue is home to one-of-a-kind boutiques and well-known shops, sidewalk cafes and fine dining restaurants, as well as world-renowned art collections in the area’s museums. Downtown Winter Park’s charm is magnified in the truly unique details: hidden gardens and side streets that are home to locally-owned shops, a farmers’ market that attracts both locals and visitors alike each Saturday morning, festive parades that mark the seasons and a scenic boat tour that cruises the canals between the City’s lakes overlooking the area’s most prestigious homes. 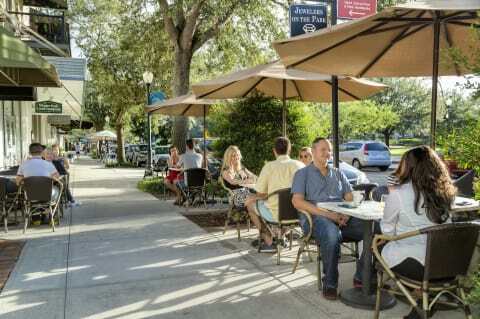 Often called “Little Europe,” Park Avenue in downtown Winter Park is a year round destination that is sure to charm visitors of all ages. The Charles Hosmer Morse Museum of American Art is home to the world’s most comprehensive collection of works by Louis Comfort Tiffany (1848–1933). The Museum’s Tiffany collection includes jewelry, pottery, paintings, art glass, leaded-glass windows and lamps, and the chapel interior the artist designed for the 1893 World’s Columbian Exposition in Chicago. The newest wing of the Morse Museum, which opened in February 2011, provides long-term public access to a collection of art and architectural objects from Louis Comfort Tiffany’s celebrated Long Island home, Laurelton Hall. The Museum is open to the public Tuesday through Sunday throughout the year with the exception of some major holidays. To plan your visit and for more information, click here. Founded in 1961, the Albin Polasek Museum & Sculpture Gardens is home to a fine art collection focusing primarily on American representational sculpture, with over 200 works by Czech-born American sculptor, Albin Polasek. The museum also offers guided tours of the historic Polasek residence and chapel, an outdoor sculpture garden and a gift shop. In addition, the museum hosts cultural events throughout the year, such as the Winter Park Paint Out in the spring and a Chamber Concert Series in the winter. The Museum is open to the public Tuesday through Sunday throughout the year. To plan your visit and for more information, click here. individuals and groups throughout the year. To learn more about the Winter Park Scenic Boat Tour and to make your reservation, click here. Whether you are looking for brunch, lunch while shopping the Park Avenue District, or a special dinner with family and friends, Park Avenue provides a diverse mixture of cuisines. You’ll discover traditional French, Italian, Thai, Tex-Mex, Turkish and American dishes, as well as everything in between. There is even something to satisfy the vegan and vegetarian palate. Visiting later in the day? The area’s active culinary scene carries on late into the evening. Be sure to plan a stop at an upscale tavern or wine bar. For more information and to view a listing of Park Avenue dining options, click here. Central Park is the crown jewel of all the city’s parks. 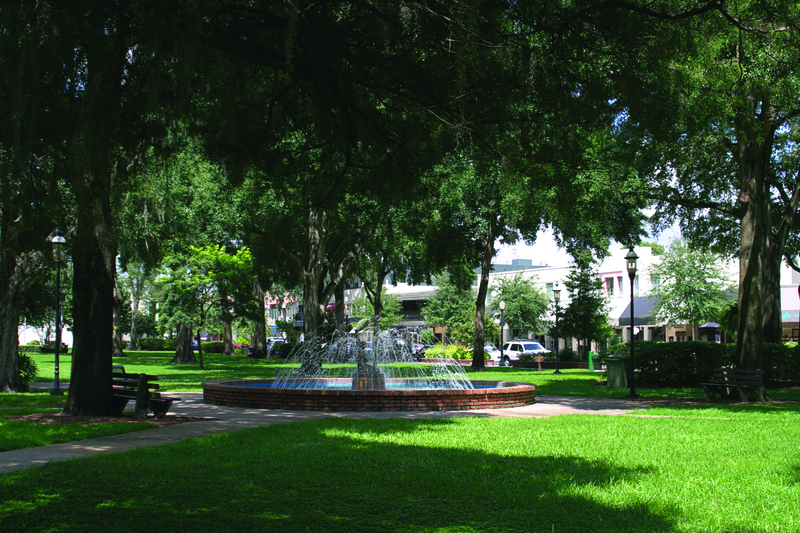 Conveniently located on Park Avenue in the heart of the downtown shopping district, this 11-acre park boasts shady oak trees, landscaped planters, sitting areas, open space and three beautiful fountains. There is even a rose garden at the southern corner of Central Park. The lush foliage and relaxing atmosphere make it the perfect environment for a picnic. The park welcomes visitors to the city that arrive by train and hosts numerous events and activities throughout the year, including the Winter Park Sidewalk Art Festival, Winter Park Autumn Art Festival and the Olde Fashioned 4th of July Celebration. Enjoy this oasis of nature in the heart of Winter Park. To learn more information about Central Park, click here. The Winter Park Farmers’ Market is held at the old train depot which has been restored into a historical landmark. The venue is a popular place for social events, weddings and small expos. However, it is most well-known for the weekly Saturday market. The venue hosts the number one produce and plant market in Central Florida. The market takes place every Saturday morning from 7 a.m. to 1 p.m. and is a popular community-gathering place that provides fine produce, plants, baked goods and so much more. 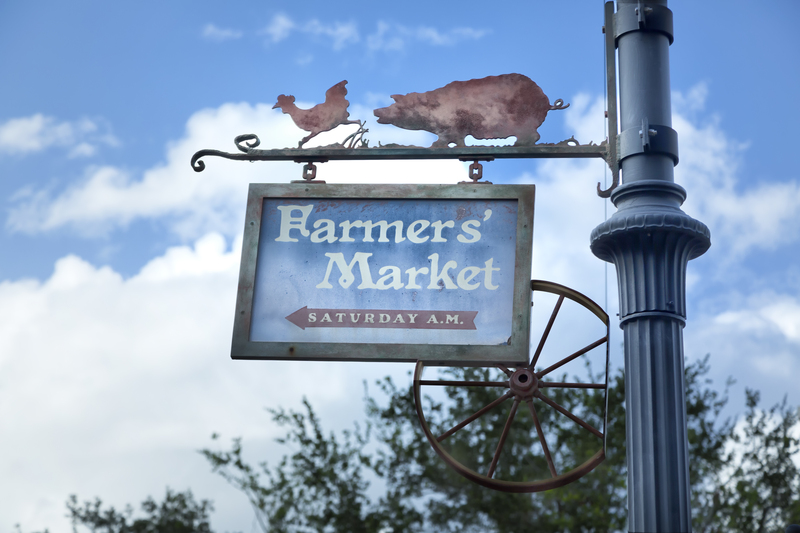 For more information about the Winter Park Farmers’ Market, click here. Feel free to stroll across the lush landscaped 80-acre campus through the beautiful rose garden or along the Walk of Fame containing more than 200 stones gathered from the birthplaces of influential cultural and historical figures. Take a relaxing walk on the lakeside walking trail , visit the Cornell Fine Arts Museum or attend one of the many cultural, sporting or educational events offered by Rollins College throughout the year. For more information and to plan your visit to Rollins College, click here. Set like a jewel on the Rollins College campus overlooking beautiful Lake Virginia, the Cornell Fine Arts Museum offers visitors a sophisticated, intimate viewing experience in one of the nation’s most innovative college art museums. The richly diverse art collection of the museum boasts more than 5,000 works and is recognized as one of the largest and most distinguished collections in Florida. Original and traveling exhibitions change seasonally and feature outstanding works of art for all tastes, from the early Renaissance to cutting-edge contemporary. The Museum’s original exhibitions are drawn from a broad range of paintings, prints, drawing and sculpture. The Museum is open to the public Tuesday through Sunday throughout the year. To learn more about the museum and to plan your visit, click here. Overlooking the golf course in the heart of Winter Park lies the historic Casa Feliz, beautifully restored Spanish farmhouse designed by acclaimed architect James Gamble Rogers II. The exterior of the house and grounds provide a picture-perfect backdrop for weddings and parties. The rich textures of original Spanish roof tiles and whitewashed century-old bricks, a turret, a bell tower and a heavy timber balcony detailed in colors of the Mediterranean. The lush landscaping—courtyards, sweeping oaks, and native plants contained by ancient clay amphorae add to the historic beauty if the restored farmhouse. The rich detail of the interior of the house include the living room’s vaulted ceiling of massive hand-hewn beams; the heavily carved European antiques accenting each room; a Majolica-tiled interior courtyard and fountain; arched doorways and a circular staircase, all evoking 19th century Spain. Casa Feliz offers tours on Tuesday and Thursday from 10 a.m. – 2 p.m. and an open house on Sunday from 12 – 3 p.m. Other special events include Art at the Casa, Christmas at the Casa and the annual James Gamble Rogers Colloquium on Historic Preservation. For more information about Casa Feliz including upcoming events, click here. Visit Hannibal Square, a historic neighborhood located along New England Avenue two blocks west of Park Avenue, between Virginia and Pennsylvania avenues. Enjoy al fresco dining, stylish home furnishings, fine art and unique gifts. While in the area, be sure to pamper yourself at some of the area’s top skin care spas and hair salons. For more information about historic Hannibal Square, click here. Explore the interesting history of Winter Park at the Winter Park History Museum. The Museum collects, preserves, promotes and researches the history of Winter Park and its surrounding area, and shares that history with the public through educational programs and the operation the museum. The museum is home to many collections of historical items relevant to the Winter Park community and also curates interesting exhibitions of Winter Park history. The Museum is open to the public Tuesday through Saturday, throughout the year. For more information about the Winter Park History Museum, click here. 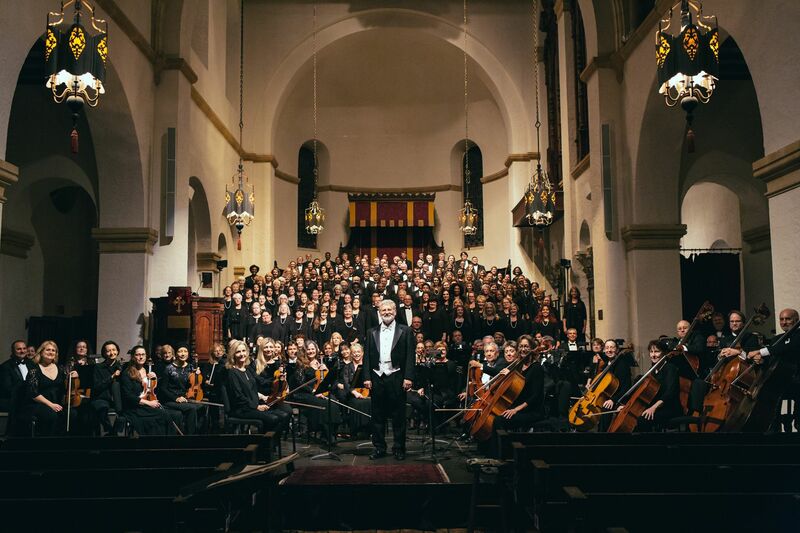 The Bach Festival Society of Winter Park has the distinction of being the third-oldest continuously operating Bach Festival in the United States, as well as being Central Florida’s oldest operating performing arts organization. The Bach Festival Society is well known internationally and has enjoyed a long tradition of bringing world-class talent to Central Florida. The auditioned all-volunteer Bach Festival Choir is the nucleus of the Bach Festival Society, with a membership of over 160 singers from all walks of life who share a love of great music. Many members of the choir have music degrees or advanced musical training, serve as educators in the Central Florida area, or maintain active schedules as soloists in churches and other venues throughout the community. Others are simply brought to the choir by their love of music. To learn more about Bach Festival Society and upcoming performances, click here. The City of Winterer Park and Enzian collaborate to produce the “Popcorn Flicks” cinema series in Winter Park. The series features classic films for the whole family to enjoy. Popcorn Flicks are usually held on the second Thursday of each month at 8 p.m. (but may not start until sunset to provide an optimal viewing experience). The films are shown in Winter Park’s beautiful Central Park and are free and open to the public. Bring a blanket and picnic or stop by one of our fabulous Winter Park restaurants to grab some snacks to go! To learn more information and to see a list of upcoming flicks, click here. It has been described as “an urban oasis, a refuge for wildlife, a botanical garden emphasizing nature, sustainability and environmental learning, and a place for contemplation, celebration, and recreation”. Mead Botanical Garden is located just a few miles from the downtown business district. It is a beautiful place to enjoy a lazy afternoon traversing the nature trails or dipping your feet in the freshwater ponds. It is also an excellent venue for intimate gatherings to celebrate special occasions or as a pleasant setting for any group collaboration. For more information about upcoming events, programs scheduled in the garden or to make reservations click here. Kraft Azalea Garden is a serene 11-acre park just minutes from the Park Avenue shopping district. The park is bordered by beautiful Lake Maitland and offers benches for reading, picnicking, or for simply enjoying a quiet relaxing time. There are trails for short walks and a small dock that is ideal for fishing. The garden is beautiful year round, but be sure to visit in the months of January through March when the namesake flowers are in bloom. Find out more about Kraft Azalea Garden by clicking here. Shady Park, centrally located in historical Hannibal Square next to the community center, features park benches and a tranquil sidewalk pathway. It is perfect for reading a book or hosting a special community event. It also includes a “spray play” water feature and offers free admittance year round. Restrooms are located in the Community Center if kids need a place to dry off, but shirts and shoes are required for entry. To read more information about Shady Park, click here. The Alfond Inn contributes to Winter Park’s cultural and artistic reputation by housing a eclectic collection of contemporary art available for viewing by the public. The collection is an extension of the Cornell Fine Arts Museum at Rollins College and features over 240 paintings, photographs, sculptures and mixed media works commemorating various impacting points in history. On Fridays, be sure to take advantage of the free docent-led tours available at 1 p.m. While experiencing these artistic proofs, feel free to indulge in the additional luxuries offered at the inn. Residents and visitors alike can dine in Hamilton’s Kitchen for holidays brunches and chef-inspired dinners or, attend special events like “Get Your Jazz On”. For more information about The Alfond Inn or to make a reservation, click here. The Hannibal Square Heritage Center was established in 2007 by Crealdé School of Art in partnership with residents from the Hannibal Square community and the City of Winter Park. It is a tribute to the past, present, and future contributions of Winter Park’s historic African American community. The Heritage Center hosts the award-winning Heritage Collection: Photographs and Oral Histories of West Winter Park, a permanent, museum-quality exhibition of over 100 framed, archival pieces that capture the lives of Winter Park’s African-American community spanning the 20th century, and the Hannibal Square Timeline which documents significant local and national events in African American history since the Emancipation Proclamation. The Heritage Center is open to the public Tuesday through Saturday throughout the year. For more information about Hannibal Square Heritage Center, click here. Take a self-guided walking tour of the City’s historical treasures,including more than a dozen different sites. 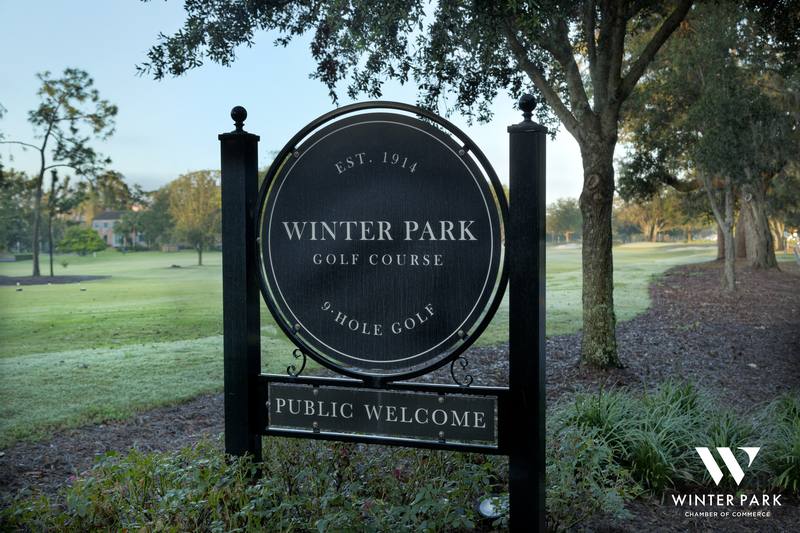 The route begins near the historic Winter Park Golf Club and heads south along Park Avenue calling attention to a variety of museums and landmarks along the way. The map indicates opportunities to head west to Hannibal Square, east to the public library and south to Rollins College, home to the Annie Russell Theatre, Knowles Memorial Chapel and Cornell Fine Arts Museum. Download your guide by clicking here. Dinky Dock sits on Lake Virginia, a 224-acre lake in the Winter Park Chain of Lakes. Now a public park, the area used to be the site of the depot for the Winter Park-Orlando Railroad. Nicknamed the “Dinky Line” for its fragility, the railroad opened on January 2, 1889. The fare from Winter Park to Orlando was 15 cents, and the trip measured six miles and took half an hour. The depot was removed in 1967. But look for a monument, a little to the west of Dinky Dock on Lake Virginia, that marks where the train station once stood. Today, the dock offers boat access to the beautiful Lake Virginia and the Winter Park chain of lakes. Boaters launching at Dinky Dock may navigate through canals connecting five lakes: Lake Virginia, Lake Osceola, Lake Maitland, Lake Mizell and Lake Minneola. Learn more information about Dinky Dock by clicking here. If you are looking for an excursion, Paddleboard Orlando organizes a Venetian Winter Park Canal Tour through the Winter Park chain of Lakes and FlyBoard Rentals of Orlando launches flights, both departing from the Dinky Dock. The Winter Park Public Library offers a full range of services in its huge 33,000 square-foot facility. Open seven days a week, about 500 people use the library on an average day. A collection of over 280,000 books, audiobooks, music cassettes and CDs, videos, DVDs, and eBooks are available, including the newest large-print books, fiction, and non-fiction books, and audiovisual titles which are displayed on the first floor. The Children’s Library offers a good selection of books, audiotapes, music, computer software, videos, and DVDs for young children, kids, and teenagers. The library offers a wide range of story times and special events for kids of all ages. The library also offers computers for Internet, research, and word processing, as well as meeting rooms that are available to rent. The library is open to the public daily. For more information about Winter Park Public Library, click here. The Winter Park Playhouse is Central Florida’s only professional musical theater dedicated to producing musical comedies, revues and cabarets. Located just blocks from Park Avenue, an evening at the Winter Park Playhouse provides quality entertainment in an intimate setting. Performances are offered year-round. The Maintstage series features seven light-hearted musical comedies and revues that are from Broadway or Off-Broadway. The Spotlight Cabaret Series is a monthly series featuring a different professional singer in an intimate setting. Visit the online box office to view what’s playing and to book your seat by clicking here. Winter Park and its downtown area offers a robust events calendar, ensuring there is always something happening on the Avenue! Signature events like the Park Avenue Sip and Stroll, the Hannibal Square Wine Tasting, Taste of Winter Park, Spring and Autumn Art Festivals, and the Concours d’Elegance exotic car show delight both residents and visitors alike. Traditional memories are made during the holiday season with events including the annual Tree Lighting, Christmas Parade, and the lighting of the Tiffany windows in Central Park hosted by the Charles Hosmer Morse Museum. Your experience in Winter Park is not complete without joining in on the fun!